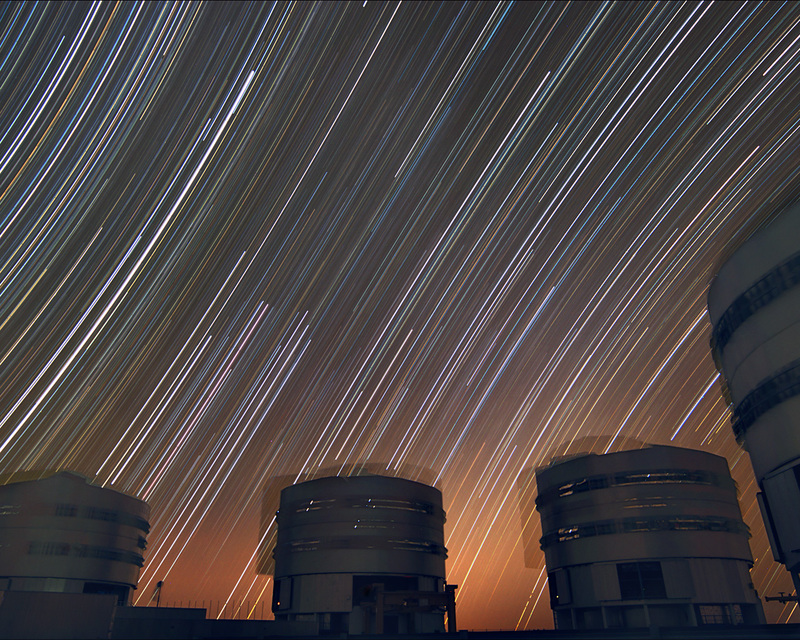 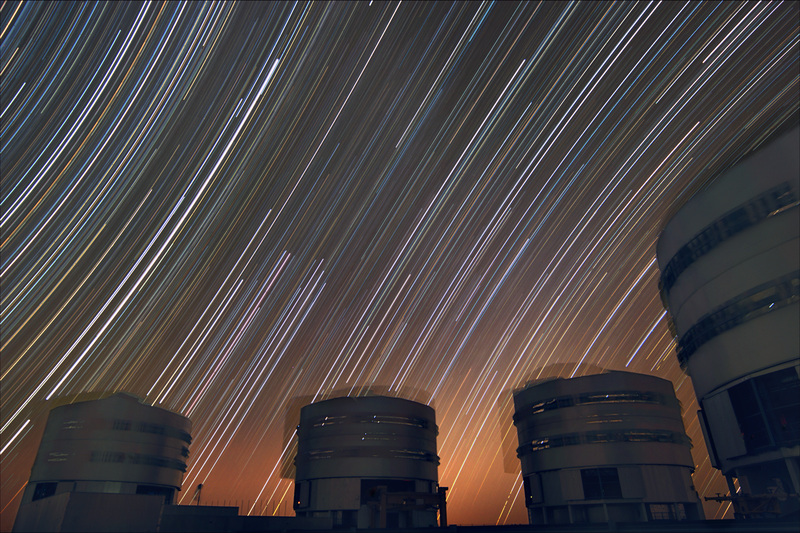 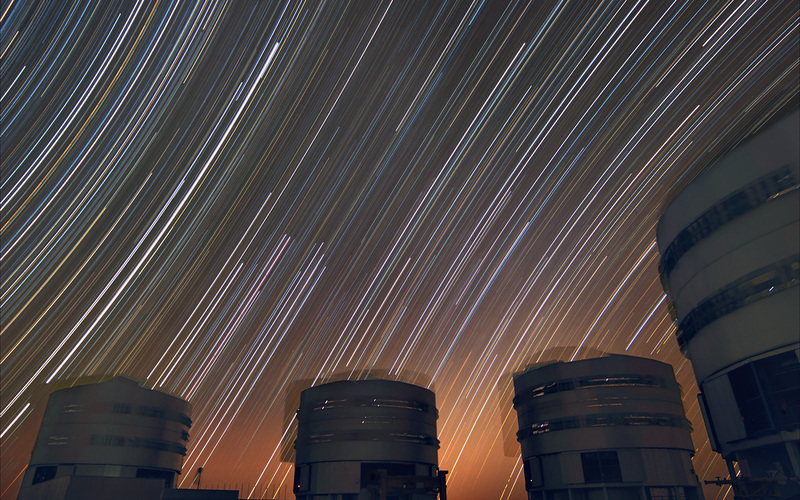 The rotating sky above ESO's Very Large Telescope at Paranal. This long exposure shows the stars rotating around the southern (left) and northern (right) celestial poles, the celestial equator being in the middle of the photo — where the stars seem to move in a straight line. 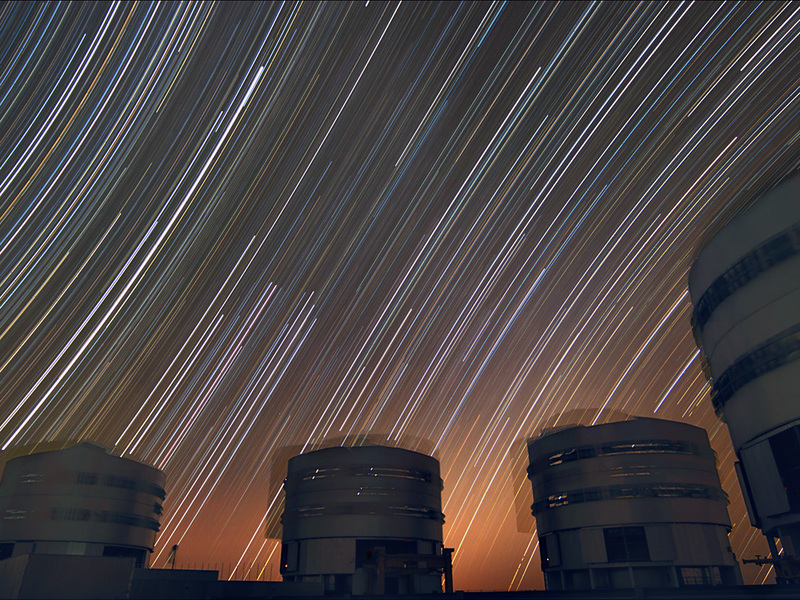 The motion of the VLT's enclosures are also visible.